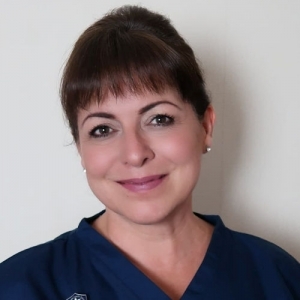 My name is Tracey Goodwin, I am a qualified Foot Health Practitioner based in Walsall, providing foot care services to people in the comfort and privacy of their own homes rather than in a Foot Clinic Walsall. Before specialising in foot care, I was for many years a qualified Registered General Nurse (RGN) with over 20 years of community nursing experience. As a Nursing Sister, I worked for GP’s in Oldbury, Rowley Regis and Birmingham. I was also a school Health Nursing sister in West Bromwich and Dudley. My roles have included running clinics for Diabetes, Coronary Heart Disease, well woman, immunisations and wound management. These days I provide a specialist foot health service in Walsall and throughout the West Midlands. On my first visit, I will make a detailed assessment of your problems and take your medical history along with noting your medications. Advice is given detailing any treatment required as well as ongoing treatments. I will also make recommendations regarding self-management in between appointments where needed. Typically, I will treat hard Skin (callous), ingrown nails, nail cutting and corns on my first visit. Instructions for the control of ongoing symptoms will be given, along with an indication of how many treatments will be required. In some cases, ongoing foot maintenance will be needed, and I will discuss this with you on the day. Foot Clinic Walsall or Mobile Service in the comfort of your home! My service is ideal for those who lead busy lives and find it difficult to set the time aside to get to a Foot Clinic Walsall, or maybe you are less mobile or elderly and find it difficult to get out and about. Many of my patients prefer the privacy and convenience of being treated in the comfort of your own home, whatever your situation I can help. Not to be confused with a Chiropodist or Podiatrist, as a Foot Health Practitioner, I am a member of the Alliance of Private Sector Workers, an accredited register that is independently vetted and approved by the Professional Standards Authority (PSA). The PSA accredits voluntary and statutory registers of people working in a variety of social care and health organisations such as The HCPC who regulate Podiatrists, Chiropodists and many more in the medical profession. You can learn more about the difference between a Chiropodist Podiatrist and Foot Health Practitioner here. Although I don’t have a Foot Clinic Walsall, I do operate a mobile foot health service carrying out any treatment required in the comfort and convenience of your home. Happy to travel as far north as Cannock, to the east, Sutton Coldfield, to the west, Wolverhampton and to the south, Quinton. I regularly visit West Bromwich and Wednesbury to visit existing patients so feel free to call if you are in those areas. For areas outside of this, please call me for availability.